If you’ve lost a tooth and you’re worried that your teeth could become misaligned as a result, it may be time to start looking into viable tooth-replacement options. While other patients may opt for dentures or no treatment at all, not all treatments will prevent your remaining teeth from shifting out of place the way dental implants do. At Marc J. Beshar Dentistry, we frequently recommend dental implants as a tooth-replacement option because there are many benefits to these permanent prosthetic teeth. However, what sets them apart from other restorations is their ability to prevent the surrounding teeth from shifting. Ensuring that your remaining natural teeth stay in place after tooth loss is essential for maintaining oral health. 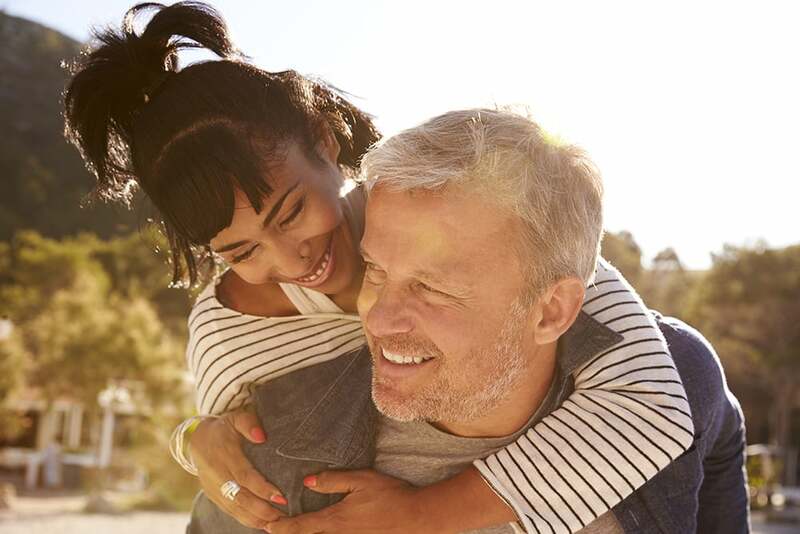 We’ve listed the top seven reasons why a straight and a complete smile restored with dental implants will improve your overall wellbeing. When there’s a hole in your smile, speaking and eating can be awkward. Some patients experience whistling between their teeth while talking. Also, the distribution of pressure when biting down on food can change, making it more difficult to chew. By inserting a dental implant, you can return your oral health to a more balanced state. Having a complete and straight smile also makes it easier to brush and floss. If you have misaligned or crooked teeth, it can be difficult to effectively clean those tight spaces around overlapping teeth. A dental implant also ensures that you can effectively clean the area around it as well. Filling the gap in your smile with a dental implant will reduce stress on your jawbone. The uneven pressure you experience when you bite could cause stress and headaches, but a dental implant fills the space and eliminates that issue. Dental implants are fused to the jawbone through a process called osseointegration. This revitalizes the jawbone, strengthening it and reducing your chances of infection. With better teeth comes better oral care, which can lead to a healthier body as well. Studies have shown that the mouth is a gateway and it can often reflect the state of your bodily health as well. By improving the state of your oral health with a dental implant, you can take care of your body at the same time. It reduces your chances of suffering from bacterial infections which have been found to be responsible for a number of cardiovascular and respiratory problems. Dental implants will dramatically improve the way your smile looks. A complete smile can give you that boost in confidence that you need to look and feel successful. Studies have shown people are more drawn to people with straight and complete smiles and would trust them more, based on appearance alone. Overall, having and maintaining good oral health can lead to fewer dental visits and it’s also more cost-effective in the long run. Unlike other treatments for missing teeth like dentures or dental bridges, dental implants don’t need to be replaced every few years as long as they’re given the proper care and maintenance. For our patients in New York, NY, the solution to your missing teeth is only a phone call away. Contact our office at 212-753-2240 today to learn more about dental implants. Schedule a consultation with Dr. Beshar so he can evaluate your oral health, discuss treatment options, cost, and answer any questions you may have. Begin your journey to your dream smile today.